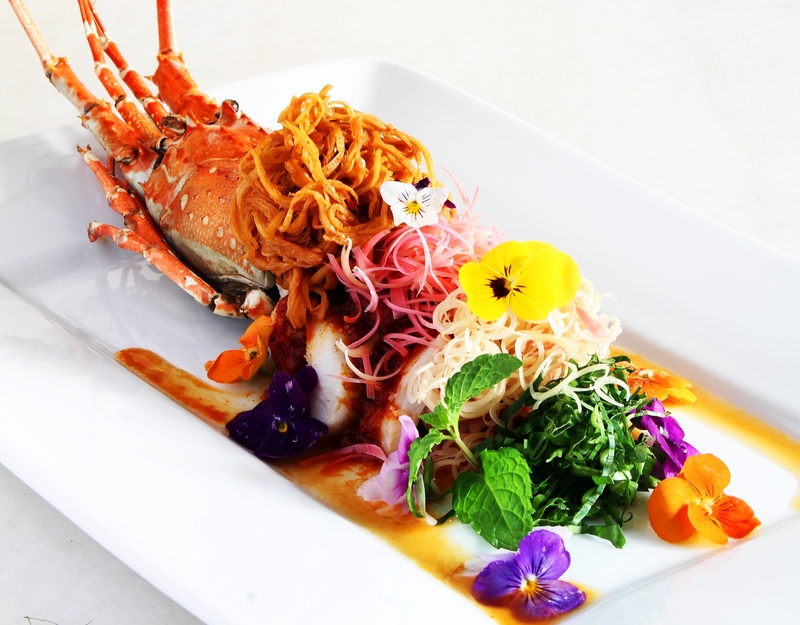 THIS amazing dish combines the luxurious lobster with local flavours from the banana and torch ginger flower. Expect an explosion of flavours with each bite of this dish. This recipe was first published in Flavours magazine. Soak the shredded banana blossom in water with a squeeze of lime juice for 10 minutes, then drain. Grill the lobster until cooked, then cut into cubes. In a bowl, stir together lime juice, roasted chilli paste, fish sauce, chilli and palm sugar, mixing well. Add the lobster, shredded banana blossom, torch ginger flower, lemongrass, and sawtooth coriander leaves, and toss together, mixing well. Garnish with mint leaves.